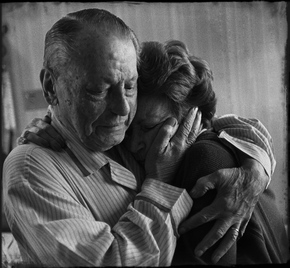 The Australian Centre for Photography (ACP) is the country\'s leading arts centre for the exhibition and publication of, and education in photo-based practice. 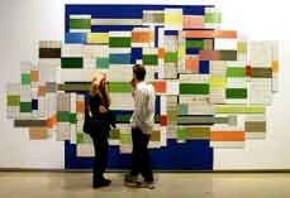 It is also the longest running contemporary art space in Australia, with over 35 years of exhibiting experience. 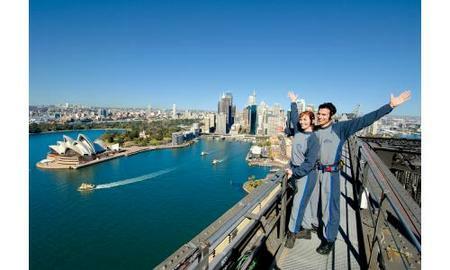 The Powerhouse Museum, Australia\\'s largest and most popular museum, is located in Darling Harbour, Sydney. Its unique and diverse collection of 385,000 objects spans history, science, technology, design, industry, decorative arts, music, transport and space exploration. A visit to the Powerhouse Museum can include touch screen computers, audio phones, science experiments, virtual reality 3D theatres, extraordinary performances, films, highlight tours, fascinating lectures and public programs. 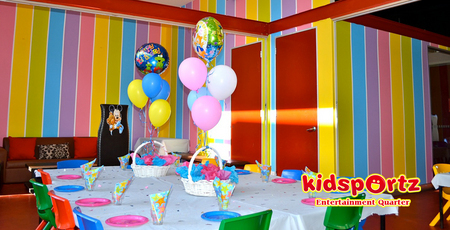 Great for birthday parties or simply giving kids a treat (and take a break in our adult space while they have fun). We also have after school care and holiday programmes - see the LOLLIPOP'S PLAYLAND site nearest you for details. A large, multi-level indoor adventure playground. Ball pools (with up to 20,000 playballs). Special toddler area for young children. Play believe and dress up area. Quiet area with books, duplo etc. 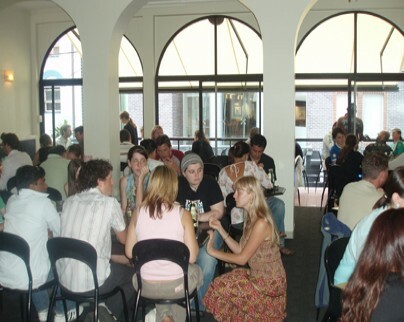 Quality café serving a wide range from cappuccinos to light meals. Ever wondered what it feels like to fly? Or have you ever wanted to experience the rush and adrenaline of swinging eight metres above the ground and being caught mid-air? Welcome to Sydney Trapeze School, the one and only Indoor Flying Trapeze School in the heart of Sydney, offering Flying Trapeze Classes to the general public in a safe, fun and motivating environment. 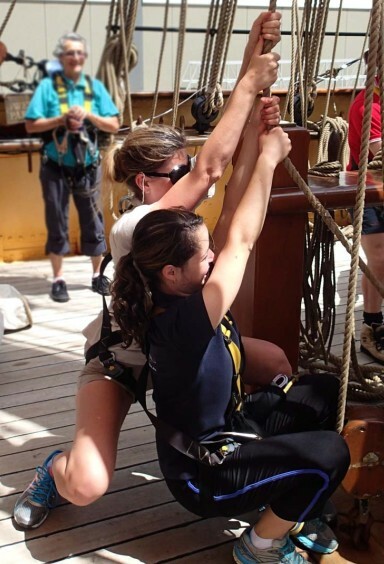 The flying trapeze is the newest and most unique fitness craze, with it already popular within the American community and celebrities. It is great for all ages, shapes and sizes. The flying trapeze is a fun way to tone your upper body and core muscles as well as improve your flexibility and self confidence. 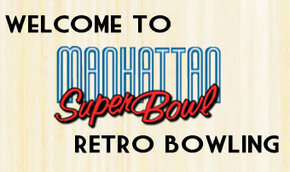 Welcome to Manhattan Superbowl , where the fun and funk of the 60s are reborn in this one-of-a-kind entertainment venue. Take a ride down "Route 66" and immerse yourself in the rare memorabilia, witnessing a revival of those good 'ol days. It's easy to find your way over to any of the 24 bowling alleys, latest amusement and arcade games or drinks at the Pontiac Bar The genuine 1959 Pontiac Laurentian car takes the centre stage surrounded by rare Route 66 memorabilia rekindling those colourful " Happy Days". 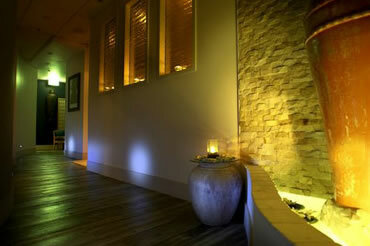 We have full facilities available for those with disabilities. 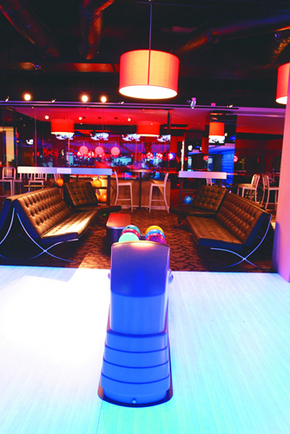 Including bowling ball ramps and bowling balls with retractable handles, we cater for everybody's needs. Stimulating your body's innate healing abilities empowers you to take an active role in preventing and treating ill health. Working on physical and emotional factors to treat the cause as well as symptoms, natural therapies help restore and maintain your vital health and well-being. 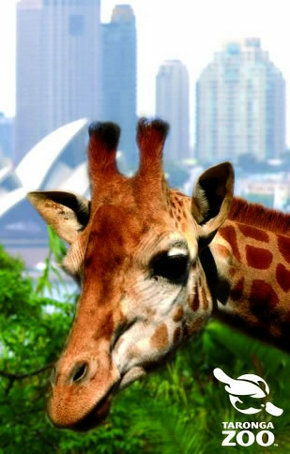 The fabulous and fun-filled Sun Herald Sydney Family Show takes place at EQ these Easter School Holidays. From Saturday 9 - 26 April on the EQ Showring, this free entry event will be an action packed show with fun activities the whole family can enjoy. 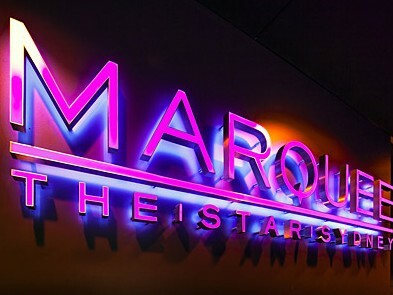 The name says it all - Sydney's Entertainment Quarter satisfies all your entertainment requirements. Whether you want to shop, dine out, catch a movie or a world-class live comedy act or just hang out with friends over a drink, EQ is the place to come to. EQ is the ideal meeting place for the many surrounding entertainment attractions including Sydney Cricket Ground, Sydney Football Stadium, the green serenity of Centennial Parklands, and the legendary live music venue Hordern Pavilion. But EQ is a major attraction in its own right. It's a shop-until-you-drop retail heaven with late night shopping seven days a week as well as the hugely popular EQ Village Markets, featuring fresh produce every Wednesday and Saturday and the EQ Village Sunday Market, featuring merchandise. If shopping is not your thing you can catch the latest movie releases at Hoyts or Cinema Paris, hit the alley at Strike Bowling, or enjoy a laugh at Sydney's premier comedy venue, The Comedy Store, a world class, purpose built club that has played host to some of biggest names on the international comedy circuit. Of course some people simply aren't yet sophisticated enough to appreciate casual and stylish fashion, world-class humour, fine wine, the thirst slaking beauty of a cold beer or the many culinary delights on offer at EQ. Nevertheless, children of all ages are well catered for with a children's precinct and Kidsportz for the very young ones. There is quite literally something for everyone at EQ. The Sydney Jewish Museum is dedicated to documenting and teaching the history of the Holocaust so that these events will never be repeated. This world-class museum challenges visitors' perceptions of democracy, morality, social justice and human rights and places the Holocaust in its historical and contemporary context. 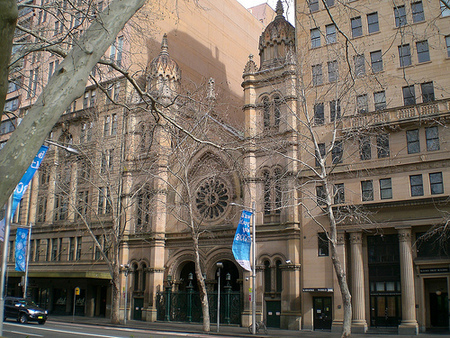 The Governor of NSW, Rear Admiral Peter Sinclair AC, officially opened the Sydney Jewish Museum on 18 November 1992. 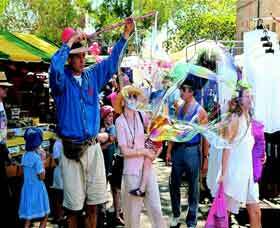 Since its opening it has quickly become an integral part of the cultural life of Sydney, winning the 1994 Award of Distinction in the NSW Tourism Awards for Excellence, and a Commendation in the 1995 Human Rights Awards. 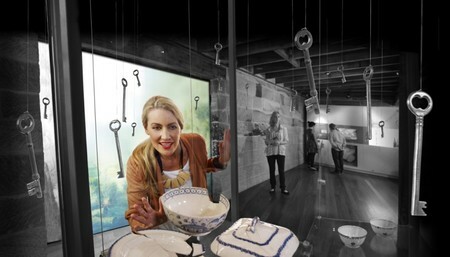 Housed in the historic Maccabean Hall, the Sydney Jewish Museum presents visitors with an overview of the best and worst of humanity. The Maccabean Hall, built to commemorate NSW Jewish men and women who served in WW1 and to honour the memory of those who lost their lives, was formally opened on Armistice Day in 1923 by the universally beloved Sir John Monash. Established in 1993, the Bondi Markets are open every Sunday in the wonderful, beachfront grounds of Bondi Beach Public School. Come to the Markets and you’ll find original designer clothing, exotic imports, hand made jewellery, arts, crafts, homewares, retro furniture, vintage clothes and so much more. 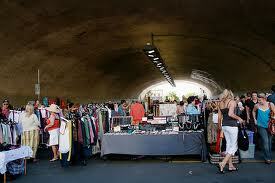 Bondi Markets are the place to find the next big thing. Keep your eye out for up and coming designers. 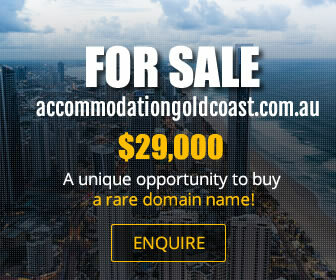 Mix it with the locals and shop to the sights & sounds of Australia’s most famous beach. The Eveleigh Artisans’ Market is held on the first Sunday of the month from 10am to 3pm, providing a platform for emerging and contemporary independent designers, artists and makers to showcase and sell their wares directly to the public. directly from the marker, while enjoying the ambience of some of Sydney’s finest heritage over a coffee, breakfast or lunch. Each month there is a collective of over 75 stallholders, who bring to life this authentic makers market through high creative standards and quality. Each stallholder is selected for their inventive nature and creative pulse that brings a variety of creations to the Artisans' Market from the fields of art, ceramics, sculpture, sustainable design, fashion, jewellery, accessories, home wares, textiles, furniture, children’s designs and much more. Held in the heritage Blacksmith's Workshop, the venue offers a truly inspirational all weather market to showcase a wide range of creative talent who are spurring on the evolving design, art and maker scene in Australia. Started as a market to encourage local fashion designers, craftspeople, jewellery makers and artists, the market has over 150 unique stalls filled with creative fashion and accessories, beautiful smelling soaps and candles and pictures that inspire. You will not find these Australian designed and crafted products in any shopping mall and many of our products are exclusive to Paddington Markets. Take a look at our International food court or try our selection of handmade chocolates and local bread. 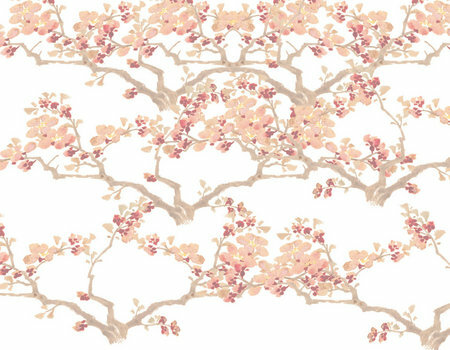 Relax under the trees with your coffee and lunch and then buy some flowers or a bonsai to brighten up your home. New Traders every week and live music every Saturday. That people matter and their passion and creativity should be encouraged. It�s worth supporting small Australian business and designers. Unique good quality local products should be promoted. That with a generous heart and a passionate spirit you can change the world. 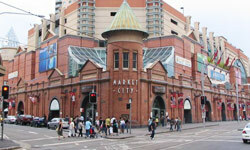 Sydney's Paddy's Markets as Australia's original Market boasts products as varied as fruit vegetables, clothing, CDs, flowers, homewares, sunglasses, jewellery - and is one of Sydney's major suppliers to the tourist with souvenirs and Australiana. In two locations Haymarket and Flemington. Whether you are shopping for the whole family or a leisurely weekend shop our community markets provide Sydney's, and country New South Wales', vast population with quality family needs. 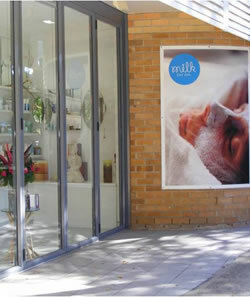 Milk was established in leafy Glenmore Road, Paddington in 2004 designed to deliver an exceptional day spa experience to Sydney. In response to client demands, in 2009 we shifted our focus to where we excel – non invasive, results driven facial rejuvenation treatments. In keeping with our focus to offer our clients the latest technology in clinical anti ageing procedures Milk Face Place have recently (2011) introduced Micro Hydra Brasion,a medical grade, non invasive therapy to deeply cleanse and hydrate the skin, offering visible results after just one treatment. Our clients wanted a more natural alternative to radical surgical treatments so we introduced the latest European technology – a revolutionary photo modulation/LED light therapy treatment, exclusive to Milk. In addition, we offer a range of cosmeceutical products to address anti ageing concerns and we are achieving fantastic results with the introduc¬tion of such innovative techniques. Our clients are witnessing visible results, and results are what we are all about. 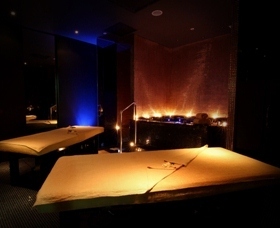 With two centres - one in Glebe and one in Balmain - Nature's Energy offers a wide variety of natural therapies including massage, chiropractic, homoeopathy, naturopathy, natural beauty, organic hair colour, acupuncture and more. Nature's Energy also has a retail section where the focus is on selling body and skin care products that are based on natural ingredients and free from parabens and sulphates. 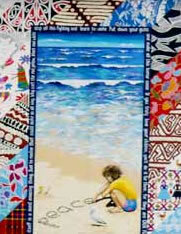 We are given the ‘Bean’ by Mother Nature whose energy promotes evolution, enrichment and tranquility. The Bean represents to us, the life force of nature and sums up Nature’s Energy’s holistic approach to the care and commitment given to our clients. Disney and Cameron Mackintosh invite you to let your imagination take flight as you step into the magical world of MARY POPPINS. Brilliantly adapted from the beloved books by Australia’s own P.L.Travers and the classic 1964 Walt Disney film, MARY POPPINS arrives at the Capitol Theatre Sydney in April 2011 for a strictly limited season. MARY POPPINS has captured the hearts of millions since premiering on the West End and Broadway, and now Australians can experience the unforgettable songs,stunning choreography and unsurpassed stagecraft of this extraordinary theatrical event. Would you like to find out more about the fascinating history and unique architecture of the Capitol Theatre? Book a tour! Our knowledgeable tour guide will take you on the Capitol’s journey over the last century from hippodrome to picture palace to rock venue to finally become a world-class musical theatre venue - it’s quite a story. You’ll have the opportunity to experience the beautiful atmospheric auditorium and observe the quirky architectural elements of John Eberson’s theatrical design vision. You’ll also gain an insight into just what it takes to stage a major musical production. 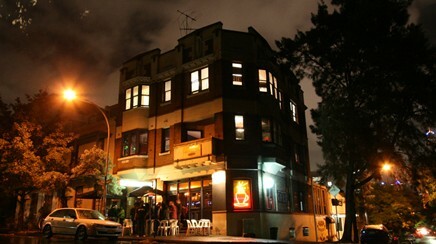 When the Nimrod Theatre building in Belvoir Street, Surry Hills, was threatened with demolition in 1984, more than 600 people – ardent theatre lovers together with arts, entertainment and media professionals – formed a syndicate to buy the building and save this unique performance space in inner-city Sydney. Over 25 years later, this space, known as Belvoir St Theatre, continues to be the home of one of Australia’s most celebrated theatre companies – Belvoir. Under the artistic leadership of Ralph Myers and General Manager Brenna Hobson, Belvoir engages Australia’s most prominent and promising playwrights, directors, actors and designers to realise an annual season of work that is dynamic, challenging and visionary. As well as performing at home, Belvoir regularly takes to the road, touring to major arts centres and festivals both nationally and internationally. 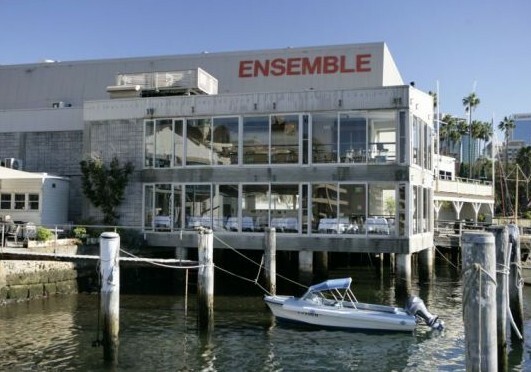 New Theatre is one of the oldest continuously producing theatre companies in Australia with a proud history that is intertwined with much of Sydney's social development and Australian theatre history. From our beginnings as a political workers' theatre, we have grown to become one of Sydney's leading independent community theatre companies. Our productions range across drama, comedy, musicals, gay theatre, family shows, political cabaret and specialised education programs. We have revisited classic texts with bold new interpretations and premiered some of the finest contemporary writing. 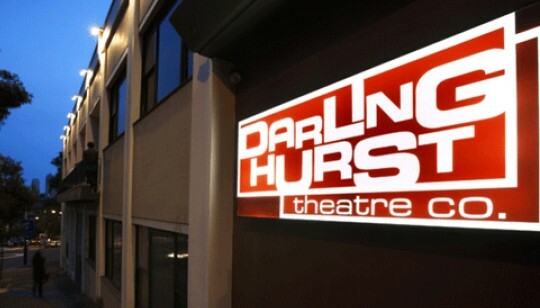 New Theatre was born from a democratic voice and from the very beginning we’ve done things our way. We’re not slick, we’re not refined and we don’t conform. We believe in artistic and social expression, not just escapism. When we take the stage, we’re for real. Our doors are open to everyone – from those looking for their start, to those who never want it to end. We’re a beacon for social movement; a hub for local enthusiasts. We’re driven by passion, not money. We’re not interested in awards or accolades, we act out of love. You can’t define us or second guess us. We won’t just invite you to take a seat, we invite you to take part. 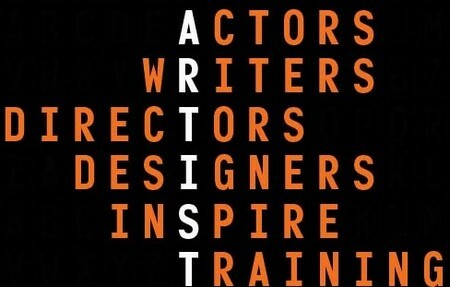 And we’ll always stay true to what we do. Always real. Always raw. Always New. CarriageWorks is a multi-venue centre focused on the creation and presentation of contemporary art and culture. There are large flexible theatre spaces (Bay 17 and Bay 20), gallery (Bay 19) and exhibition spaces, rehearsal rooms (Track 8 and Track 12) and a scenery workshop. 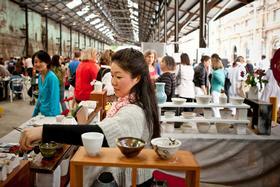 CarriageWorks is a working hub for practitioners and audiences of the small to medium arts sector. CarriageWorks is housed in the old Eveleigh Rail Yards at Wilson Street, located within the emerging Redfern Waterloo precinct, and has been developed by the NSW State Government through Arts NSW. Starting with the cathedral-scale foyer, the physical beauty and scope of CarriageWorks is inspiring. The distinctive nineteenth century industrial atmosphere of the former railway carriage and blacksmith workshops have been retained, with many heritage iron and brick details featured in the regeneration of the building. With major renovations completed The Gaelic Hotel is now a 500-capacity, split-level, multi-purpose venue situated only meters from Central Rail & Bus stations between Chalmers & Elizabeth Street. 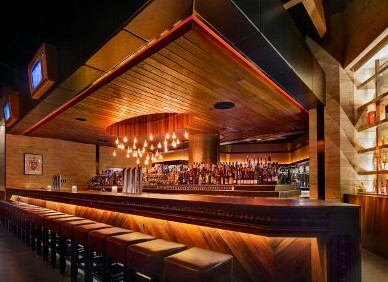 The Gaelic has a late License till 4am, 7 days a week, and is surrounded by late night 24-hour hotels and food outlets. Start your evening at Govindas and dine to your full satisfaction from our opulent buffet. We recommend you allow at least half an hour to dine before going upstairs to the cinema i.e. dinner booking betweeen 5:45-6:30pm for a 7:00 movie or 7:30-8:30 for a 9:00 - 9:30 movie. For thirty years, Griffin Theatre Company has been Australia’s new writing theatre. The resident theatre company of the historic SBW Stables Theatre in Kings Cross, Griffin dedicates itself to the nurture, presentation and promotion of outstanding Australian playwriting and contemporary theatre. An engine-room for theatrical discovery, ingenuity and diversity, Griffin exists to bring playwrights and new writing for the stage to national and international attention. Retaining a special place in the performing arts landscape, Griffin is a key portal for the profession at large – a gateway for actors, designers, directors and of course, playwrights. 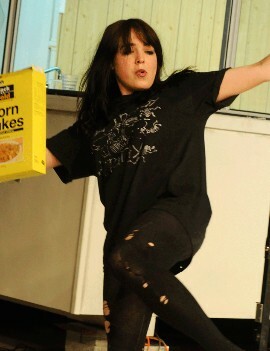 Having produced numerous groundbreaking plays since its establishment in 1979, Griffin continues to invest in artistic and audience development – with professional residencies for playwrights and directors, a workshop and commissions program, education and outreach projects and an annual program of works in development. Griffin has a reputation for artistic excellence, its low-fi atmosphere, and its role as a major force in shaping the future of Australian theatre. For over 30 years Dendy Cinemas has screened the best in quality cinema across the east coast of Australia. In addition to its involvement in the Bridgeway Cinema and Tauranga Cinema in New Zealand, Dendy Cinemas operates 24 screens across its Byron Bay, Brisbane, Canberra and Sydney (Newtown and Circular Quay) locations, and remains the home of quality 2D and 3D cinema. As well as its core film programming, the company is also home to a vibrant arts program of opera, theatre and ballet productions from some of the world’s finest companies. Partnerships with some of the country’s most exciting film festivals showcase a range of exclusive content, while the company’s sponsorship of events such as the Sydney Film Festival’s Dendy Awards, Tropfest, and NIDA Week help support the local filmmaking community. Sydney’s listed screen gem The Chauvel has been operating in the historic Paddington Town Hall from 1977. Formerly the Paddington Town Hall ballroom (the fully sprung floor remains under the seats) the Cinema One auditoria boasts a barrel-vaulted ceiling with proscenium arch stage. The cinema has long been the spiritual home of Australian film culture, a gathering place for true film lovers to share their passion for the best of independent and world cinema. The Chauvel's second floor cafe & bar offers views over Sydney's fashionable Paddington. Enjoy freah premium Lavazza coffee prepared by our experienced baristas or choose from a great variety of food and drink including local and international premium wine & beer, handmade Connoisseur choc tops, healthy choice popcorn cooked in olive oil and more. The Chauvel also stocks a range of boutique snacks. The Chauvel is equipped with state of the art 35mm, 16mm and Betacam/DVD video projection with a Dolby Digital sound system featuring the Lenard speaker system exclusive to the Chauvel. There is a Mezzanine Lounge for all private functions. 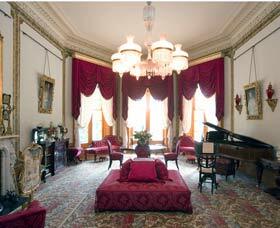 The Ritz Cinema is steeped in rich history and tradition. Built in 1937 and now Heritage Listed, it is one of the only 2 original Art Deco Cinemas remaining in Sydney. Still offering the lowest price movie tickets available, the cinema has survived a fascinating history of tumultuous change and holds an important place in the local culture. This heritage and unique design adds to the charm and warmth of the Ritz Cinema that other venues cannot match. The Ritz Cinema is a versatile and stylish venue to consider for your next event. Think outside the square The Ritz Cinema offers more than just fantastic movies! The Ritz Cinema is also available for location filming of advertisements and movies and short films etc. Ritz Movie Nights are a very popular and hassle free way to raise those hard to come by funds. The Ritz Cinema is a supportive partner with many local community groups & events. We recognise the importance of your Charity and your efforts and work to assist you plan and stage a fantastic and successful fundraising activity. The Ritz Cinema hosts fundraisers on a regular basis and has the experience and expertise to assist you with all aspects of your event. 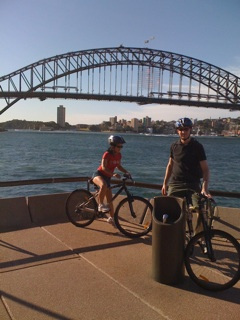 We also have the most competitive prices in Sydney! 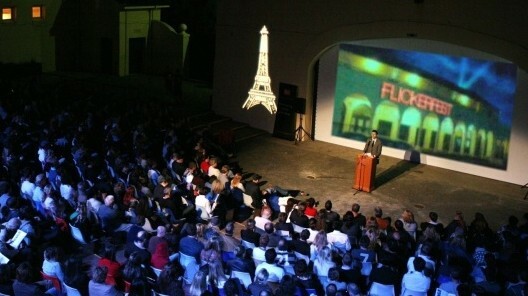 Flickerfest began as a small local festival at the Balmain High School in 1991. Over the last 21 years it has grown to become Australia's only competitive International Short Film Festival with entries coming from filmmakers across the globe. In 2003 the Academy of Motion Picture Arts and Science elected to recognise Flickererfest as a qualifying festival for the Best Short Film and Best Animation categories of the Academy® Awards. In 2010, Flickerfest was also recognised by the British Academy of Film and Television Arts (BAFTA), making films from the UK that won at Flickerfest, eligible for a BAFTA nomination. We are the only short film festival in Australia with BAFTA and Academy® accredited status. The honour of Academy® Award accreditation will guarantee Flickerfest's international profile for many years to come, whilst also ensuring greater opportunities for our Australian short film makers internationally. A summer of live music and feature films under the stars is on the way, as Bondi Openair Cinema (20 January 2011 – 5 March 2011) returns to Bondi Pavillion. This marks the second leg of Australian Openair Cinema, which kicked off in St Kilda on 9 December. The outdoor cinemas are located in some of Australia’s iconic locations, beginning on the rooftop of the St Kilda Sea Baths, making its way to the shores of Sydney’s Bondi Beach on 20 January and Rainforest Green of South Bank in Brisbane on 24 February 2011. Bondi Openair nights are a quintessentially summer event; with feature films playing on huge outdoor screens from dusk. Cinemagoers can relax with some gourmet-style food and tasty beverages from the licensed bar, while listening to the sunset sounds of acoustic sets from emerging musicians.